Police Scotland officers in the Aberdeen area can confirm that the missing person Stewart Clark who resides in the Old Meldrum area has been traced safe and well. Officers would like to take this opportunity to thank members of the public for their assistance with this matter. 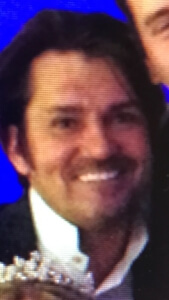 Police Scotland is appealing for information to trace Stewart Clark, aged 43, who has been reported missing. Stewart was last seen around 0840hrs on Thursday 4th January 2018 when he left his home in Oldmeldrum on his way to work. His current whereabouts are unknown. Stewart is described as 5 foot 8 tall, white, medium build, with short black hair and has a styled beard. He was last seen wearing grey checked trousers, a light blue shirt and a grey woolly jacket. Anybody with information regarding Stewart’s whereabouts is asked to contact Police Scotland on 101.